Since the founding of BMR in 2007 it has been our desire and goal to provide the materials our customers want and need at the lowest possible prices. We aim to provide an affordable alternative to paying retail for building materials and more. Creating a thrilling money saving adventure in our ever-changing inventory we desire to treat our customers as very important and valuable. Satisfying our customer’s needs is our business. The humble beginnings of BMR started with Daniel’s collection of materials he had in reserve for his own homes he built and houses he was remodeling. His gift for seeing value in overstock and discarded materials he purchased was out of control with barns and semi-trailers full of treasures. As a great consequence in 2004 he started planning to take his gift to procure great materials at low prices and make them available in one location to homeowners, contractors, project creators and property managers. Daniel just wanted to see others reap the savings he had been experiencing for the last 30 years. Thus the birth of Building Material Resources in 2007. 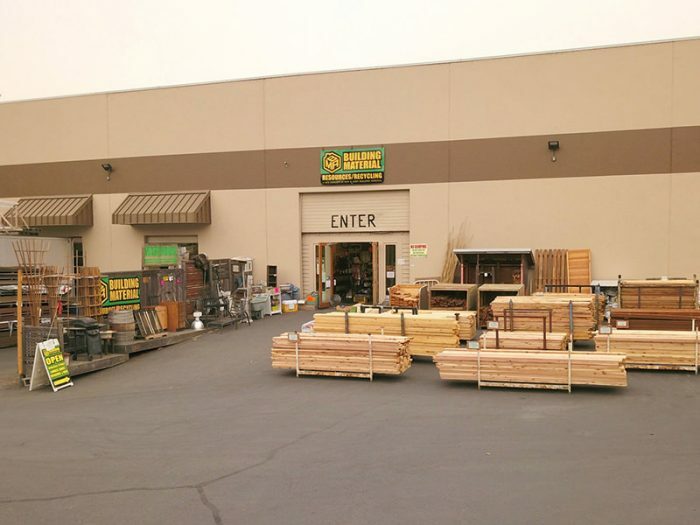 Building Material Resources has been family owned and operated since 2007. Olivia, Stefan, and Daniel along with the rest of our staff welcome you begin an adventure where you stop paying retail and come in under budget on your current and future projects.